Mojo bags, amulets, talismans, these powerful tools have been used by cultures all over the world, from the Americas to Eastern Europe and the British Isles because of their personalization and potency. Our Mojo Bag Kits give you everything you need to make your own powerful charm to affect change in your life! 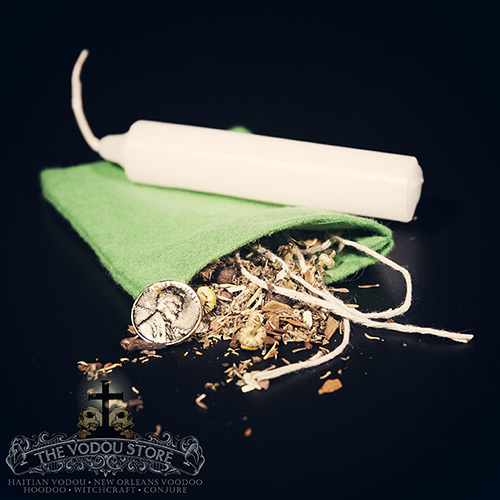 Each kit contains a packet of herbs, a unique curio, a white candle, complete instructions, and a mojo bag with string.